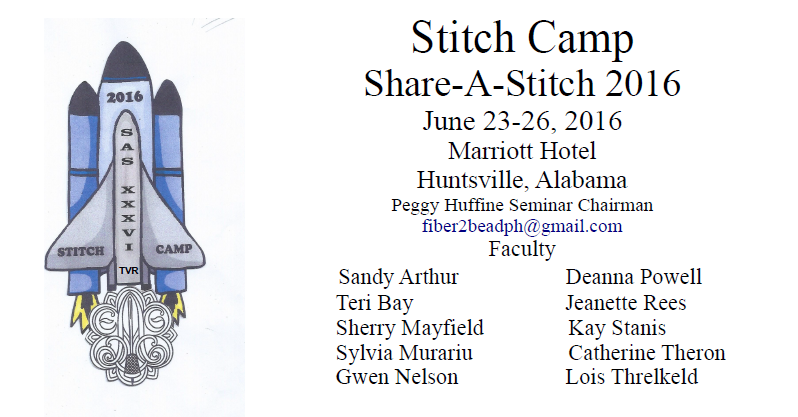 Board meeting of CyberStitchers from 9PM (ET) Thursday, June 9 through 9PM (ET) Tuesday, June 14. General meeting of CyberStitchers from 9PM (ET) Thursday, July 14 through 9PM (ET) Tuesday, July 19. Board meeting of CyberStitchers from 9PM (ET) Thursday, August 11 through 9PM (ET) Tuesday, August 16. Ridgecrest Conference Center, Ridgecrest, North Carolina. visit the Carolinas Region website. In Dallas, TX There are many 2-day and 1-day classes. 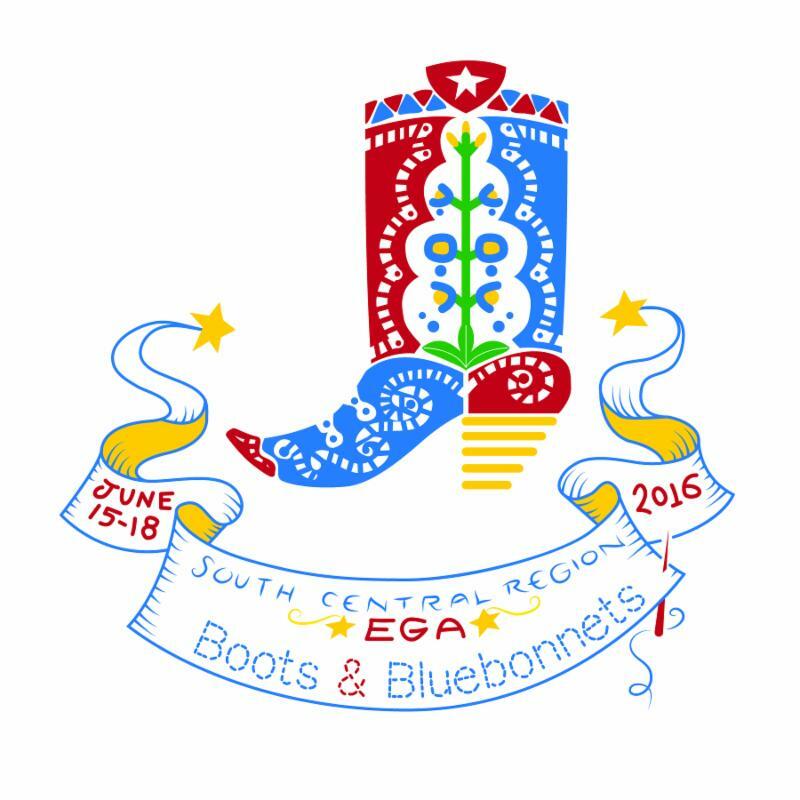 The theme is "Boots and Bluebonnets" and the logo is so snazzy that I'd order seminar merchandise even if I weren't going! Hint: One of our members is teaching a 3 day class! Make plans now to come to Dallas next June to enjoy that famous Texas hospitality along with outstanding classes from 17 teachers, fun mini classes, delicious food, and an all-around good time! Download the registration form here. For more information, visit scr2016seminar.org! Polish your cowboy boots and get ready for a fun week in Dallas! We look forward to seeing you there! A Cascade of Stitches, the GPR Seminar, will be held in Eugene Oregon June 17-22, 2016. We have a fabulous set of teachers offering a variety of interesting techniques. There are challenges, exhibits, shopping plans that will make this a memorable Seminar. Registration begins January 1, 2016. Visit the seminar web page for a list of classes and activities. Come join us; you will love Eugene! For more information visit www.gprseminar2016.org. Email Peggy Huffline with questions! For more information, visit www.egatvr.com. 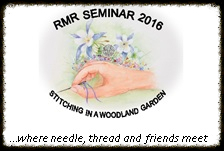 Stitching in a Woodland Garden...Where Needle, Thread, and Friends Meet will be held at the Marriott in Colorado Springs, Colorado. For more information, visit www.rmrega.org. The Great Lakes Region of the Embroiderers' Guild of America will hold its 2017 seminar from May 6-10, 2017 in Chicago, Illinois at the Chicago Marriott O'Hare. Sweet Stitch Chicago is hosted by the Windy City (Chicago) chapter. Visit the GLR Seminar 2017 page for more information. Or visit SCR EGA 2017 Seminar. For information go to http://dressingdownton.com/. Click here to go to the EGA Calendar.